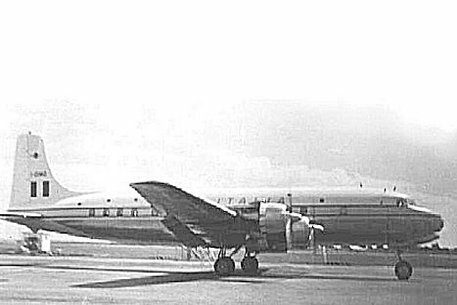 Comet G-ALYR taxies for Runway 30. 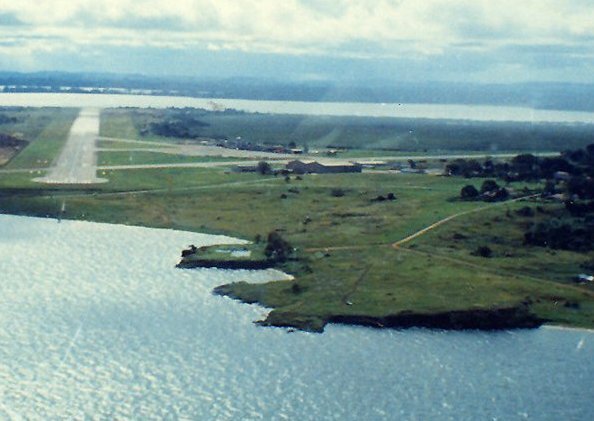 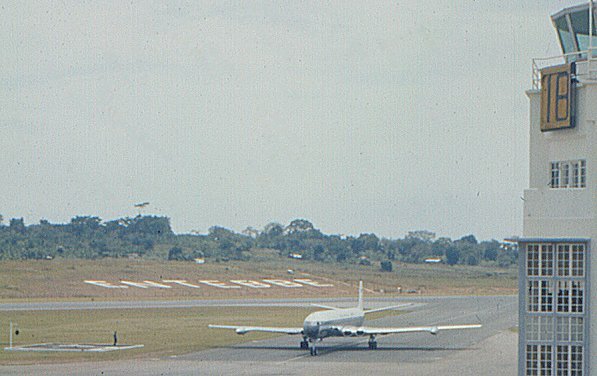 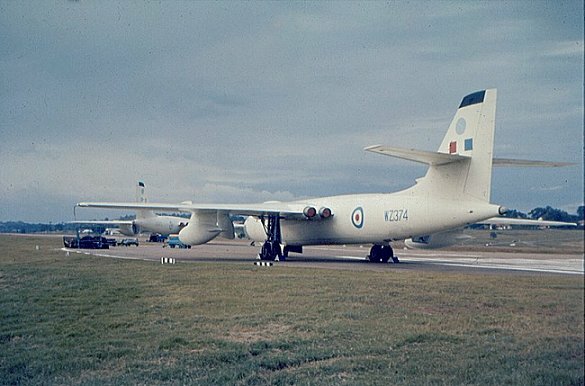 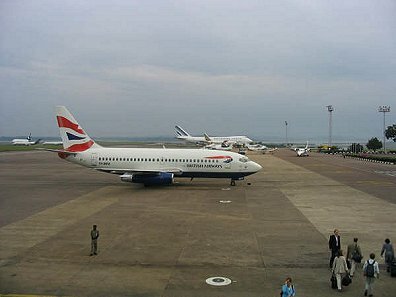 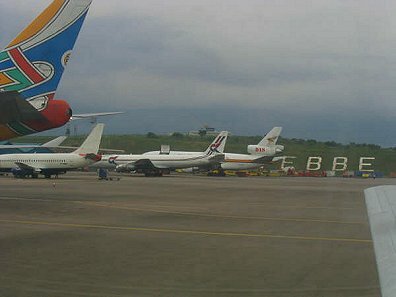 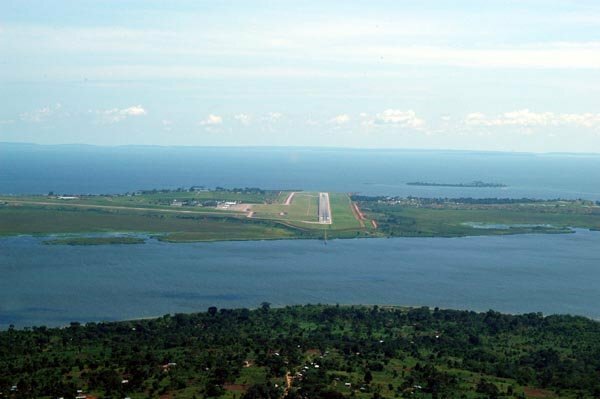 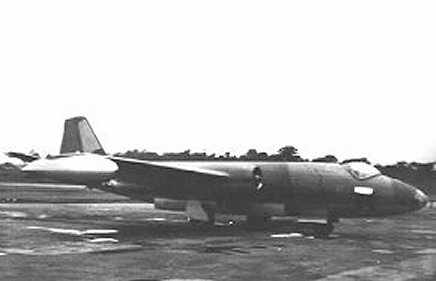 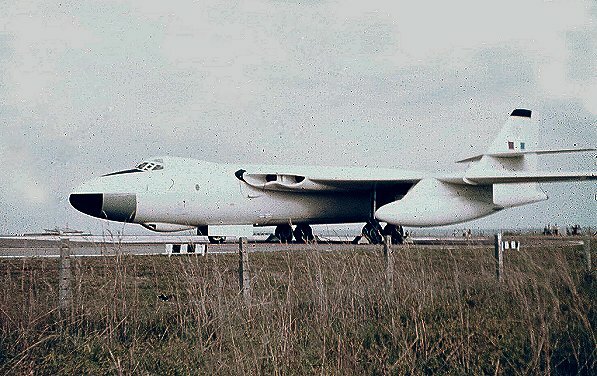 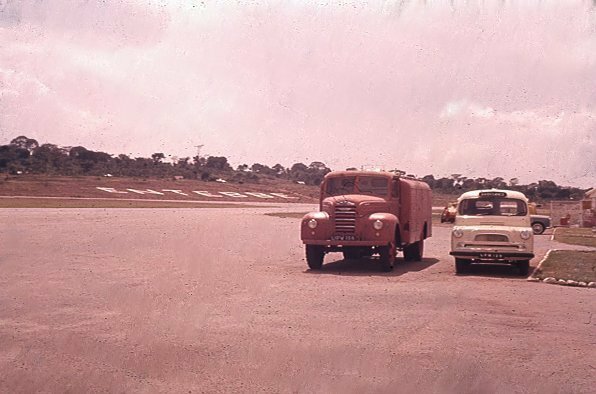 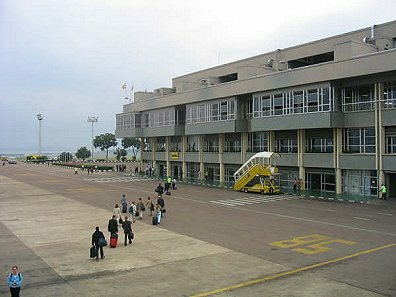 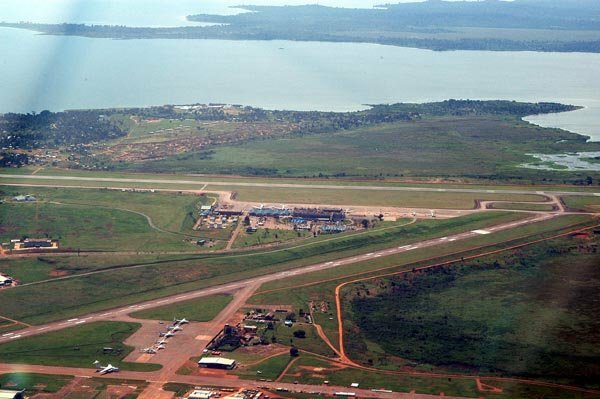 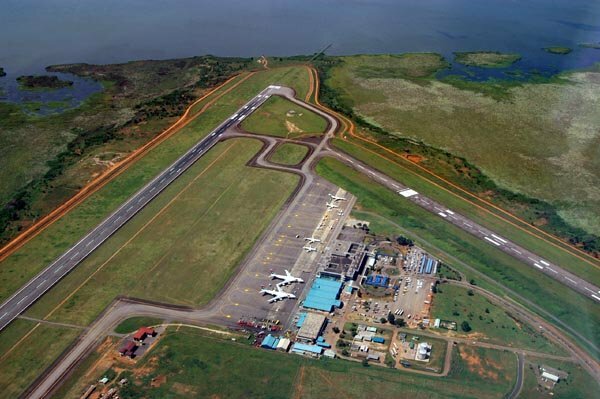 Comet 1 Yoke Sugar (left) taxis out at Entebbe for Runway 30 . 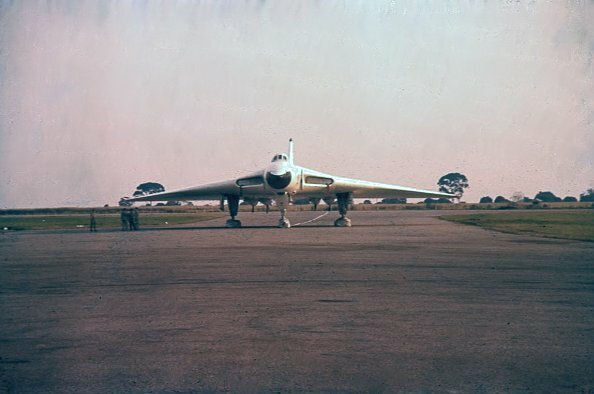 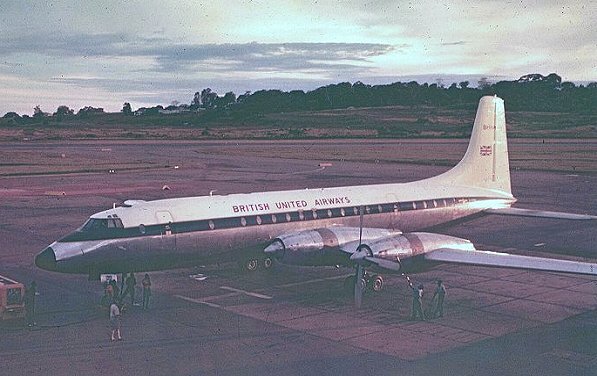 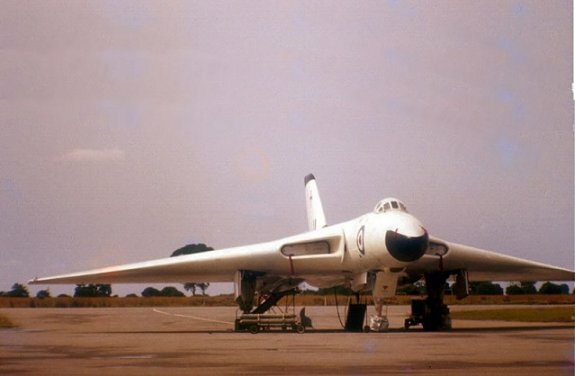 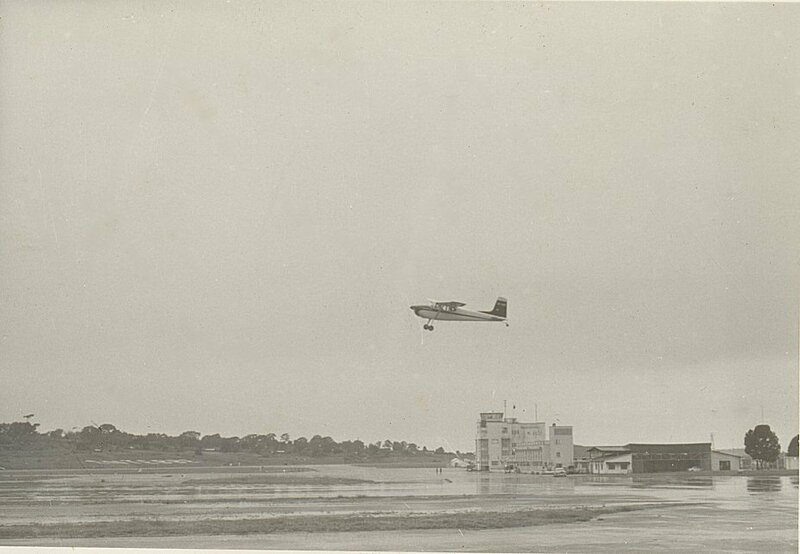 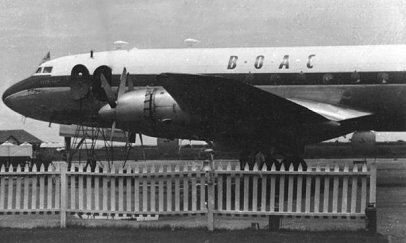 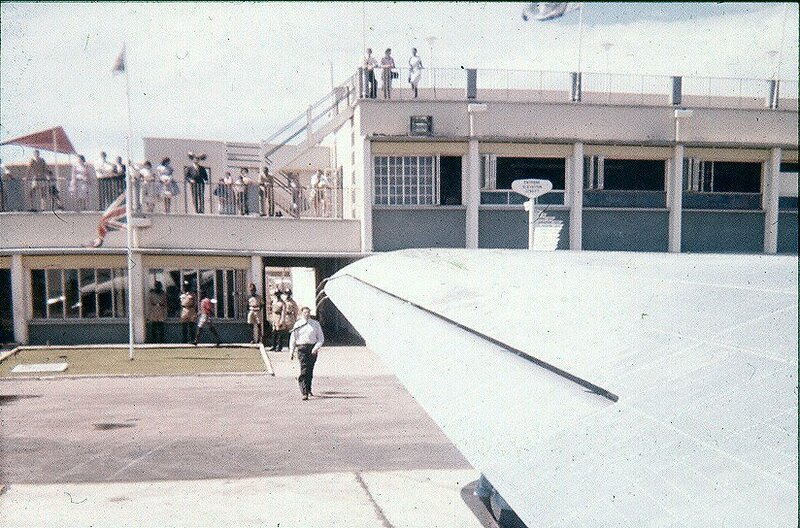 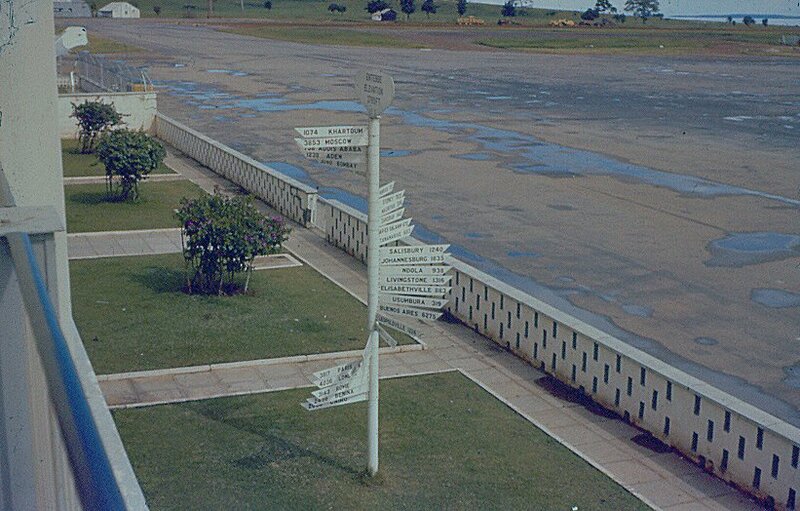 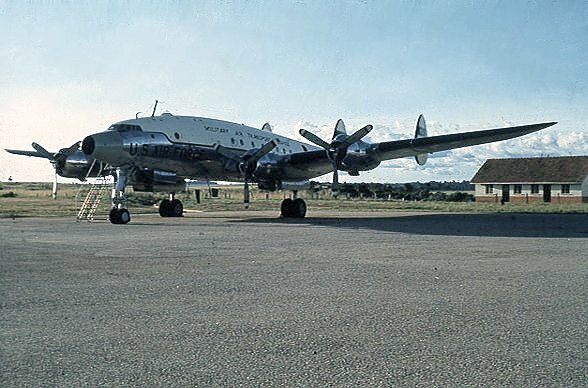 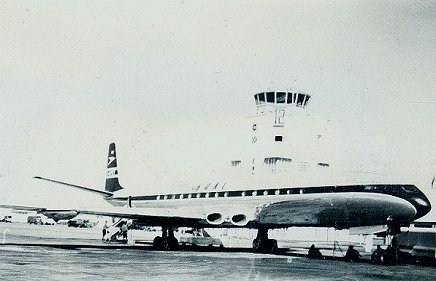 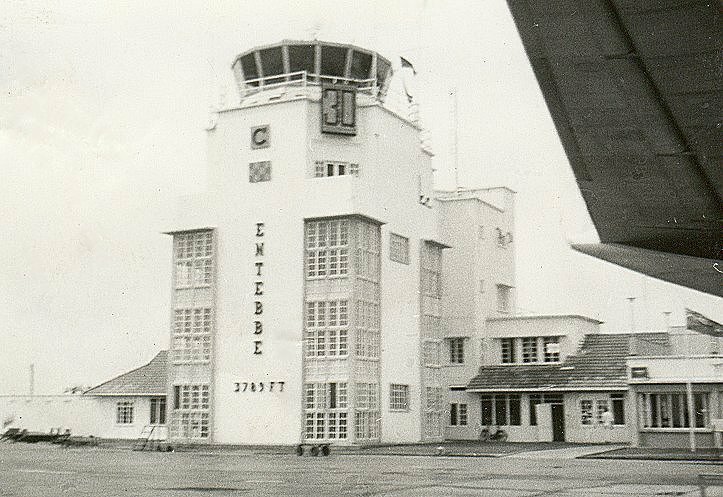 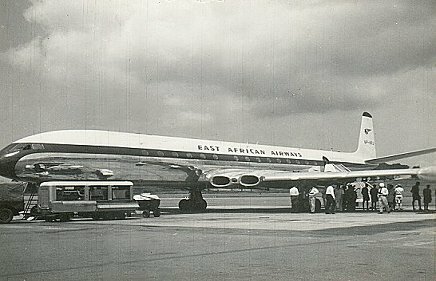 I acquired this photograph from the official collection of photographs in the Nairobi BOAC office in Sadler Street. 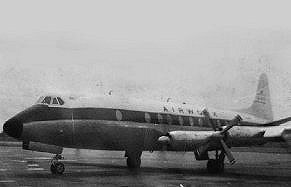 With the demise of the early Comets, Sales Manager Tony Cruickshanks was happy to give it to me in 1960. 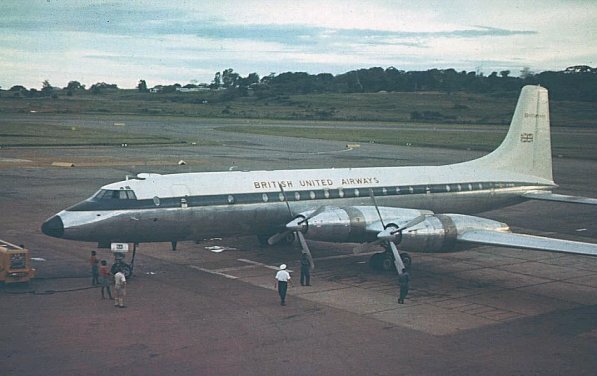 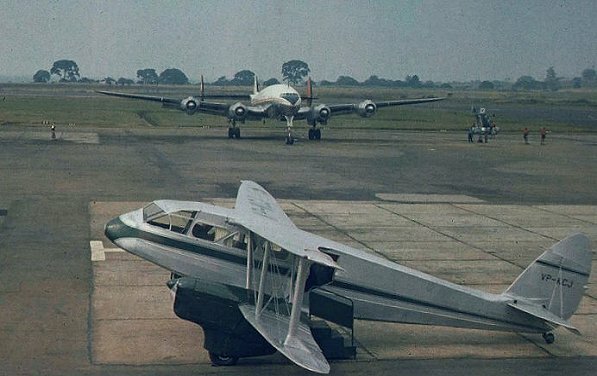 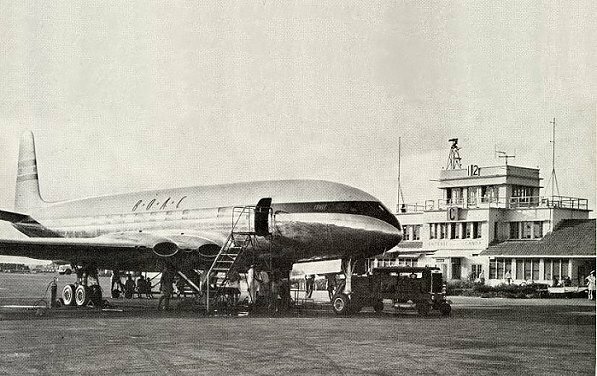 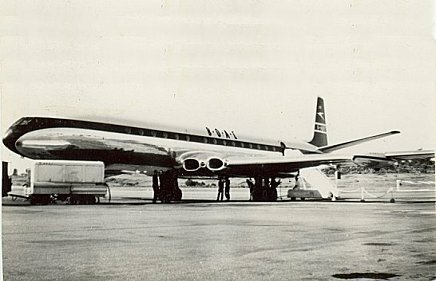 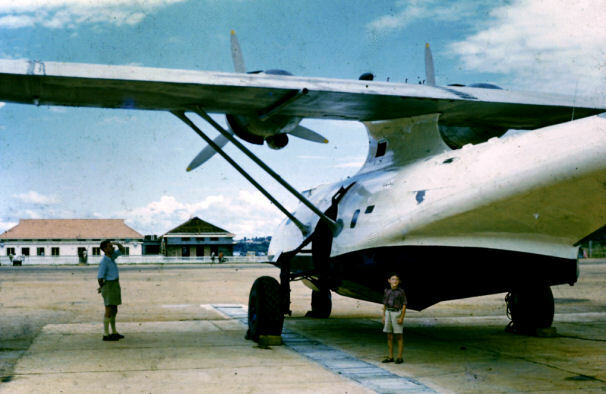 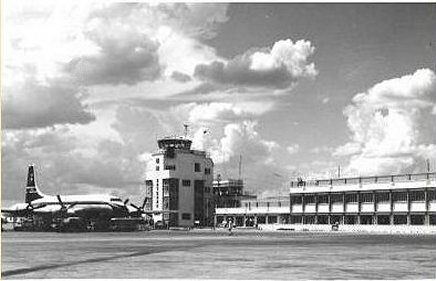 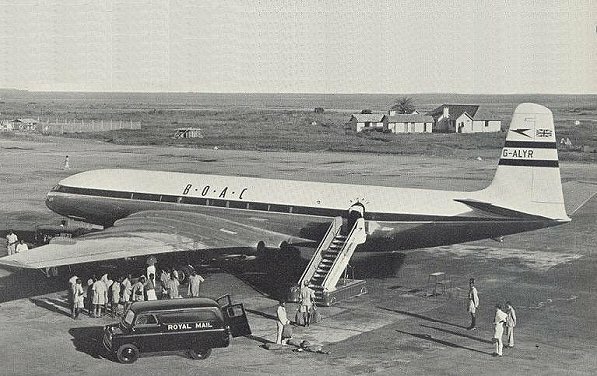 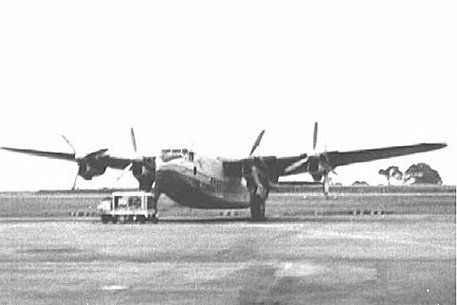 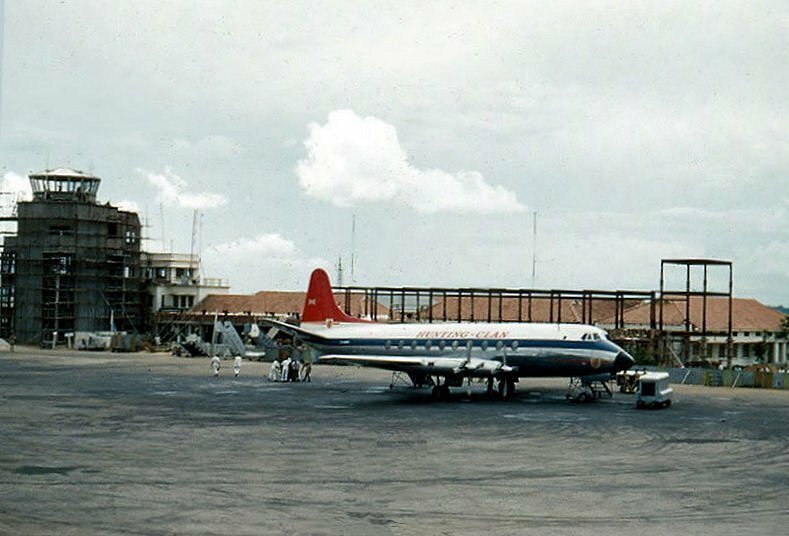 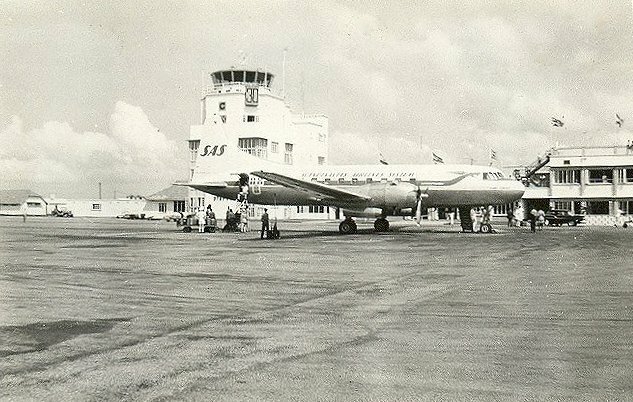 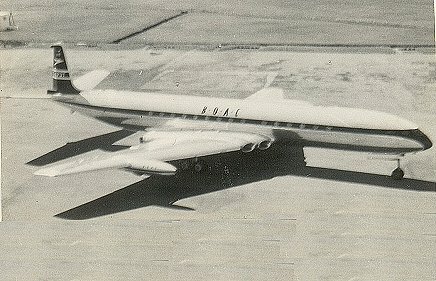 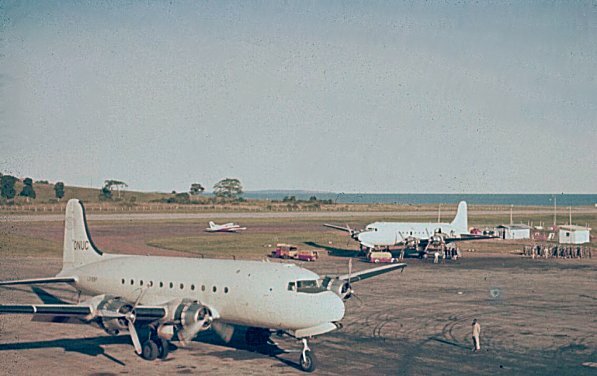 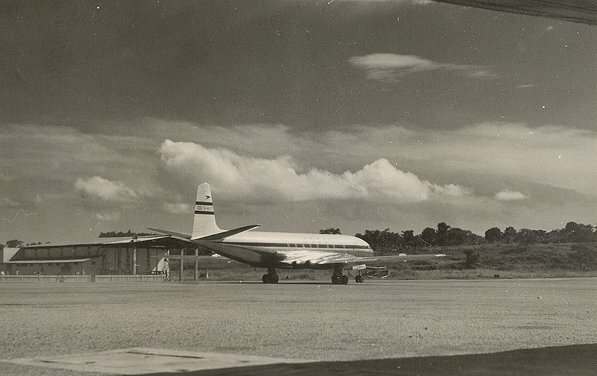 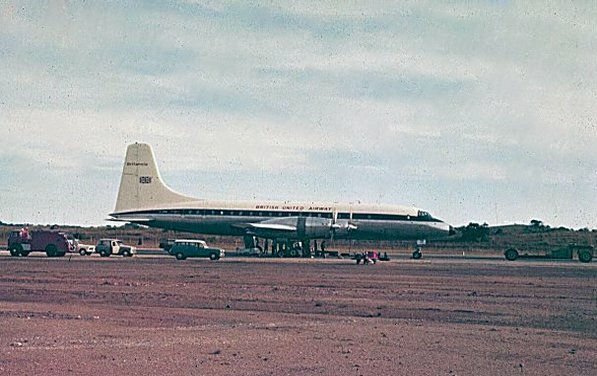 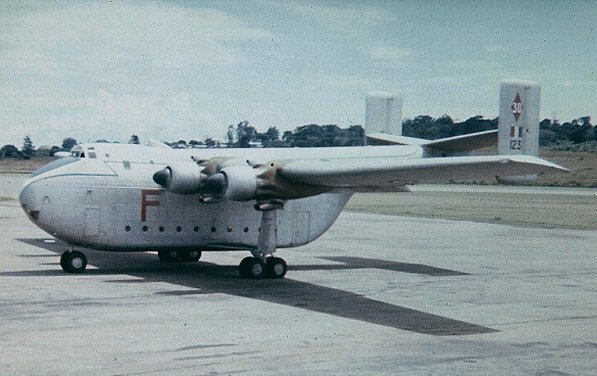 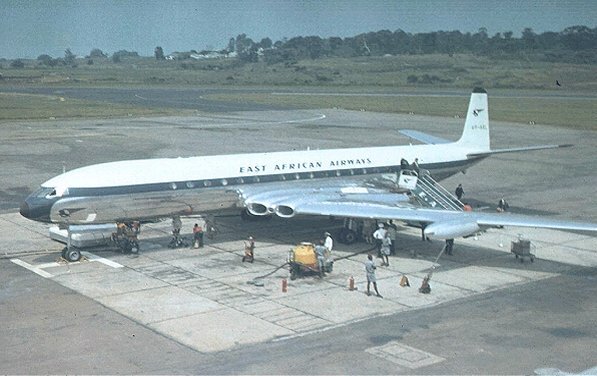 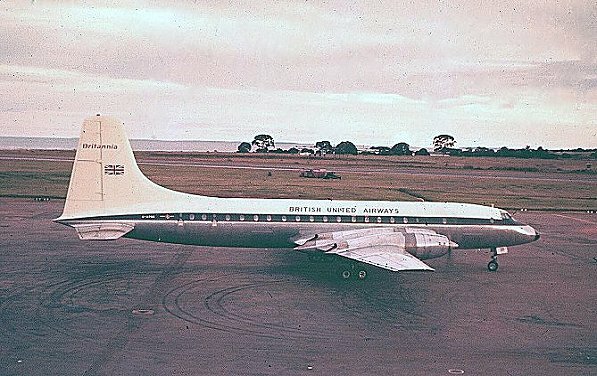 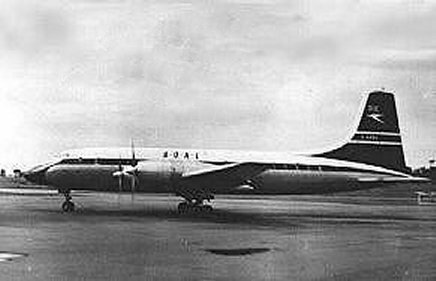 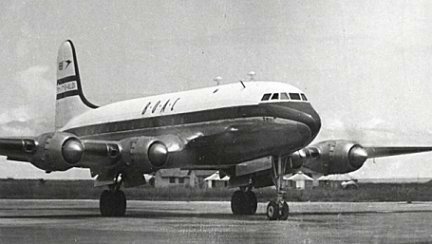 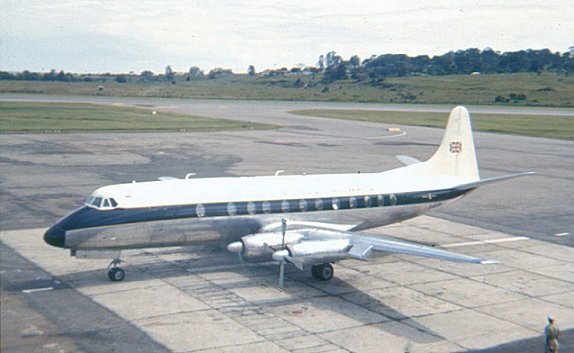 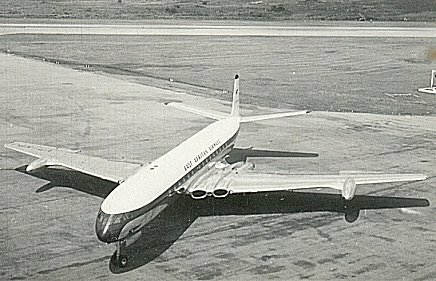 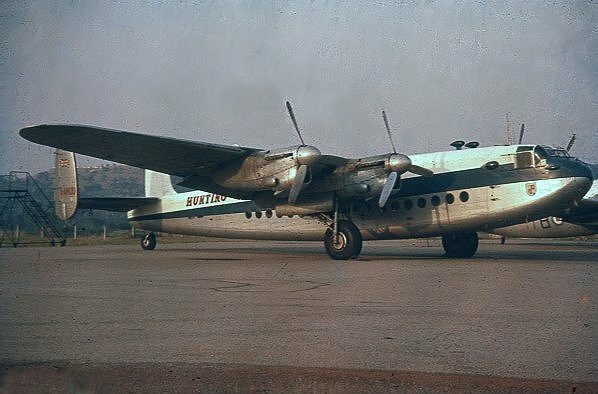 PHOTO Daily Mirror (BOAC Nairobi, 1958). 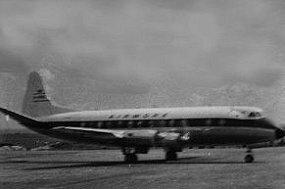 Consternation came some thirty minutes later. 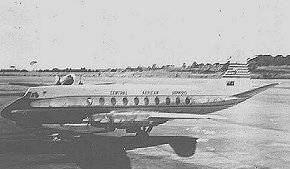 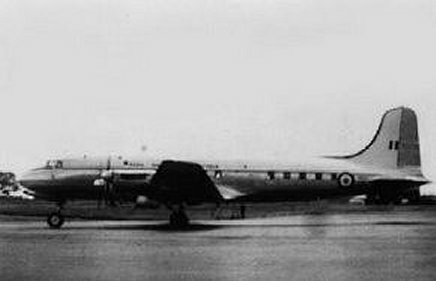 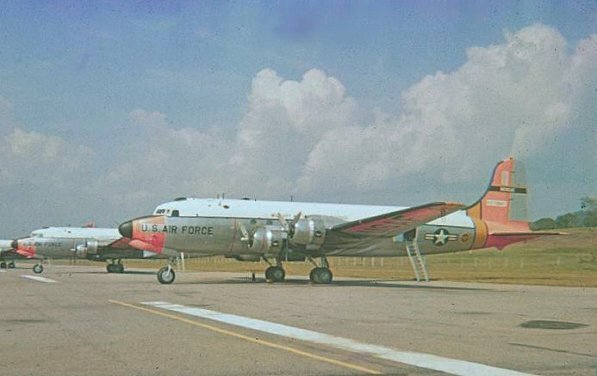 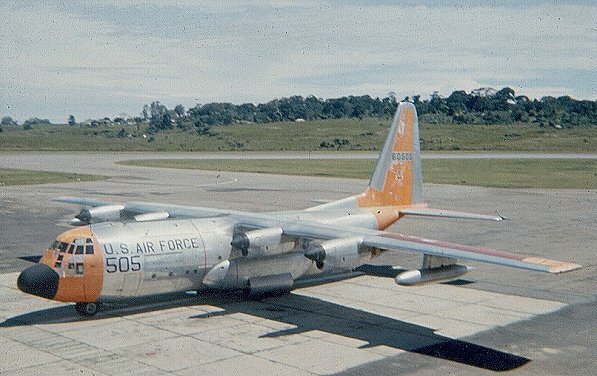 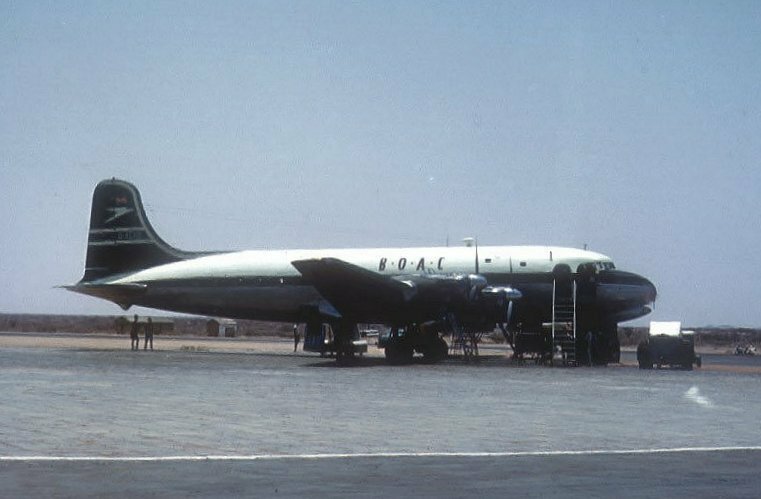 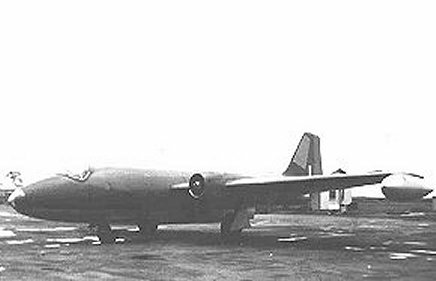 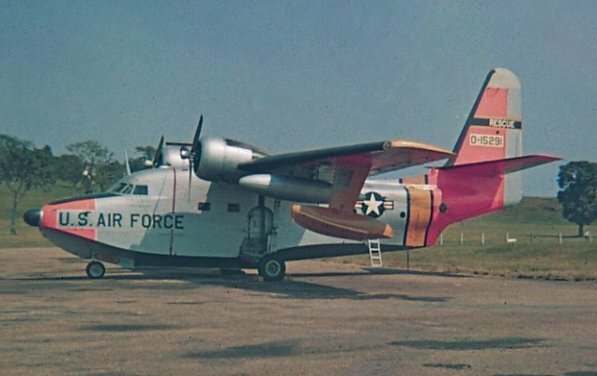 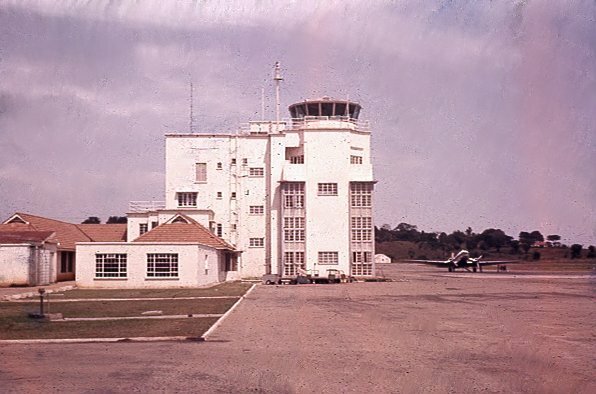 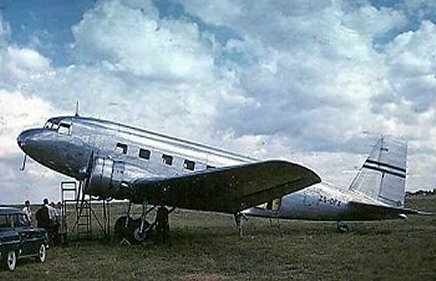 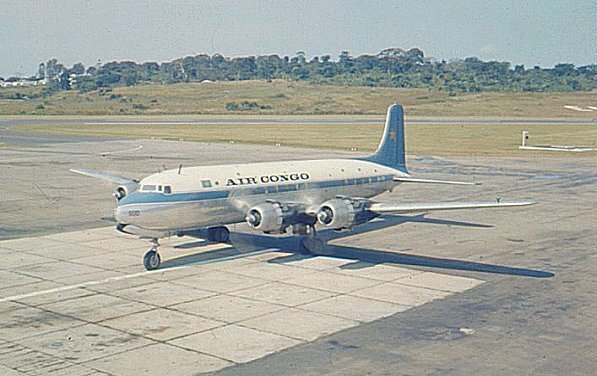 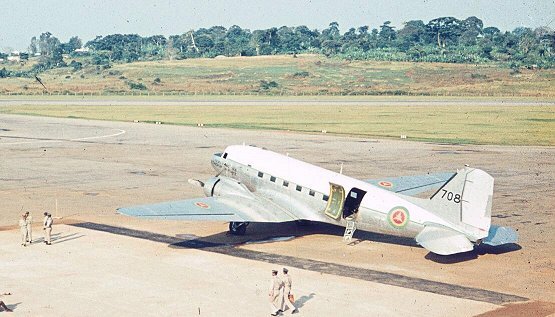 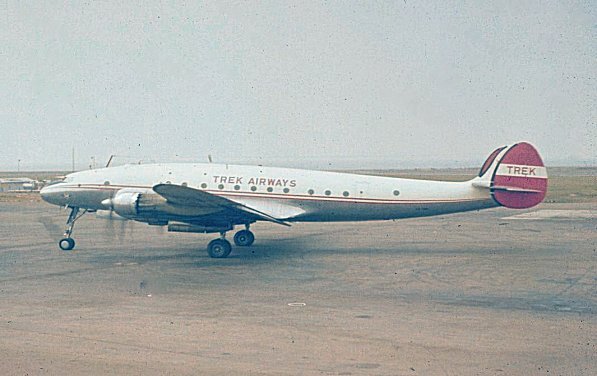 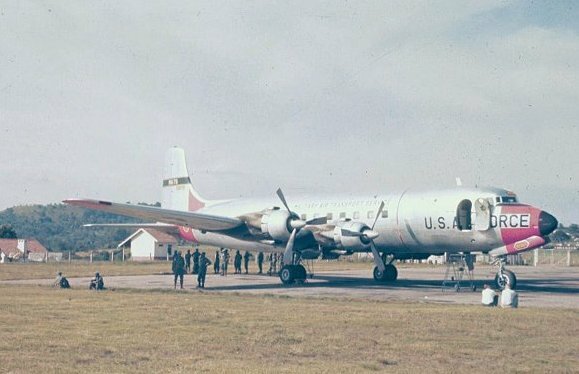 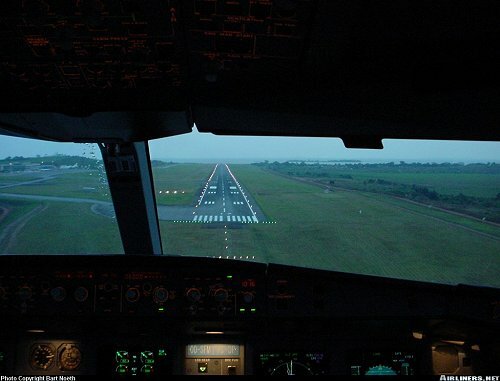 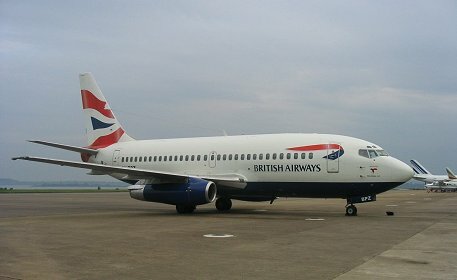 I was in the tower when a DC-2 from the Congo called for joining instructions - even the Controller was surprised and replied "Say again Aircraft type". 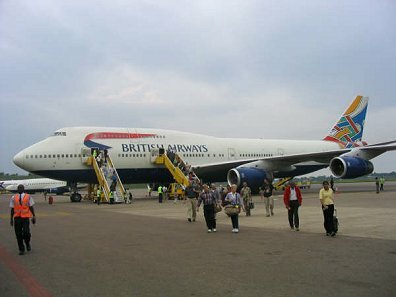 This photo (left) taken by Brian Robbins at a South African field serves to show what I missed!